Decent performer except falls at spectrum extremes. 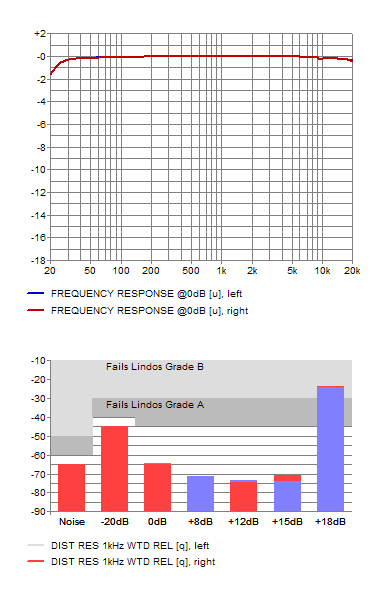 Good noise results but unfortunately clips at full-scale. Cute design though. Tested with the E-MU 1616M sound card by Xiaoyuan Gu.